Capital Fringe Festival Dates announced for this summer's Hexagon 2019: E Pluribus Screwum! Join Hexagon and Make a Difference! Hexagon is a nonprofit organization composed of people whose purpose is to create and stage an original, political, satirical, musical comedy revue each year, both to have fun entertaining and to raise money for local charities. Hexagon presented Hope Connections on closing night with a check for $30,000. 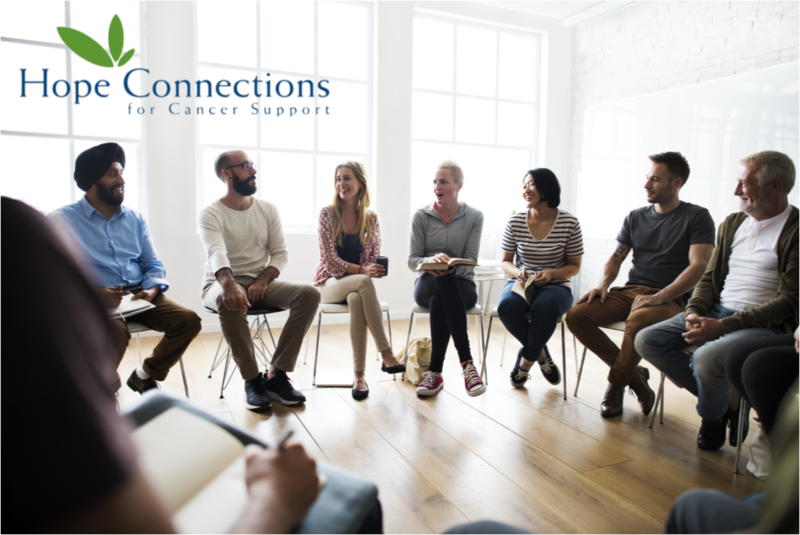 See how professionally facilitated programs of emotional support, education, wellness, and hope help Hope Connections for Cancer Support continue its mission every day. See what’s up for this year! “Romp in the Swamp” gallery added! Check out the Hexagon archives in our Photo and Video Galleries, featuring our video of the month! Get Hexagon Stuff and Help! 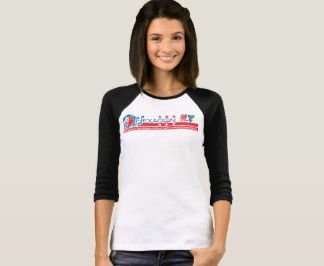 Hexagon 2019: Romp in the Swamp merchandise is in our shop along with other fun designs. Help us offset our show costs, so we can donate even more money to charity! The Hexagon Show WHAT IT TAKES! There are many benefits to Hexagon membership. Perhaps the most important is becoming part of a tradition of using laughter, music, and creativity to improve the lives of others. 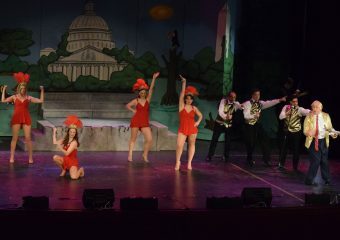 For those drawn to the stage, Hexagon provides its members with the chance to sing, dance, and act in an original satirical musical revue whose sketches have entertained tens of thousands of people since 1956. 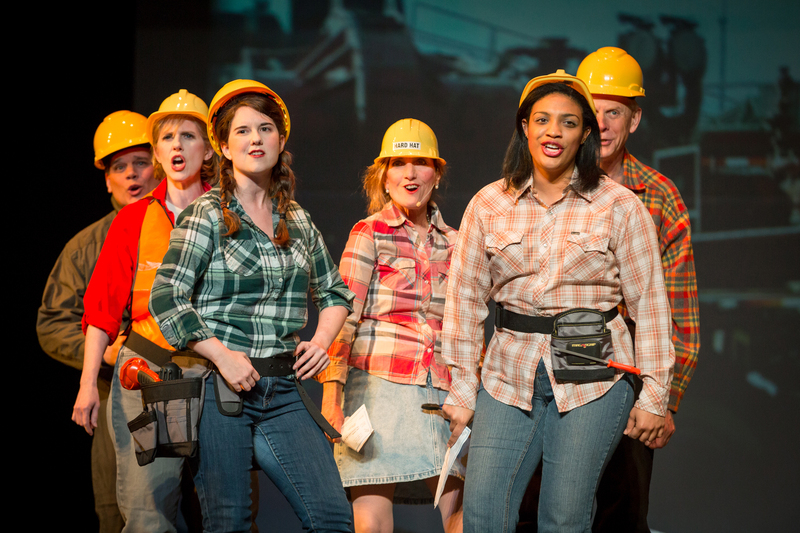 For those who don’t seek center stage, there are opportunities to learn and use technical theater skills, such as lighting, sound, and set design. Members also serve as ushers, play in the orchestra, and staff the house and box office. Because each Hexagon revue is an original production, there are numerous opportunities to exercise your creativity–developing scripts, composing music, and writing lyrics. Our membership comprises Hill staffers, teachers, lawyers, retired professors, homemakers, and foreign embassy personnel. Become part of a tradition of using laughter, music, and creativity to improve the lives of others. Click Here to Join/Renew Your Membership Online! Our 501(c)(3) non-profit tax-exempt organization's mission. Reviews and articles in the news about Hexagon. Hexagoners is a smaller group of performers and crew who take the show "on the road" for hire around the Washington area after the spring show. There are many ways to have fun while making a difference as a corporate or individual sponsor, or as an advertiser. Let us know how to get in touch with you. If you would like to reach a member of the board of directors, please click here. This page is for general queries only. Please do not submit personal information such as credit card numbers or other similar private information. If you are looking to purchase tickets to a performance, please use our secure ticket ordering system by returning to the home page and clicking on the link for tickets. Hexagon, Inc., is a 501(c)(3) non-profit, tax-exempt organization established in 1955 for the purpose of presenting an annual, original, musical, comedy revue with proceeds to charity.